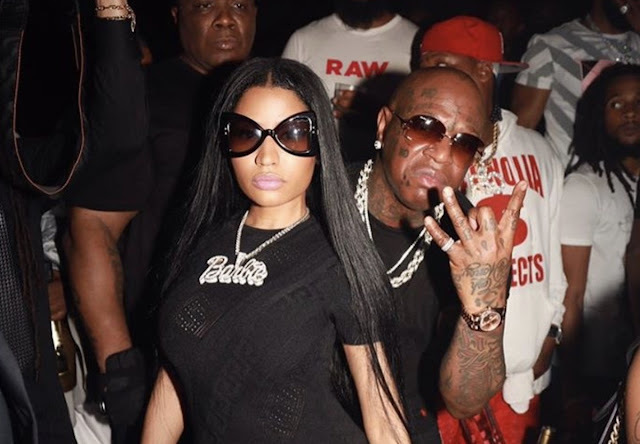 Nicki Minaj agrees with Birdman that she's the best female rapper of all time - Ooooooo La La! Nicki Minaj has been staying out of the spotlight lately and laying low from social media (supposedly to focus on her upcoming fourth studio album), but the Barbz leader recently resurfaced! Not only is Nicki back to posting on social media, but she was spotted in Los Angeles International Airport on her Wednesday - her third public appearance in 2018. TMZ caught up with the 35-year-old rapper and told her that Birdman recently said she's the best female rapper, EVER. And, well, Nicki agreed with Birdman's compliment! Birdman compared Nicki to Lauryn Hill, Missy Elliot, and Lil' Kim, who have all pushed boundaries for females in hip hop. Although he praised the women for their accomplishments, he noted that Nicki has managed to go much further than her fellow MC’s and has achieved the status of an “icon." #NickiMinaj has resurfaced for the first time in awhile and @tmz_tv caught up with her and said #Birdman called her the best female rapper, EVER .. and, Nicki agrees! Do you think Nicki Minaj is the best female rapper, ever? ?